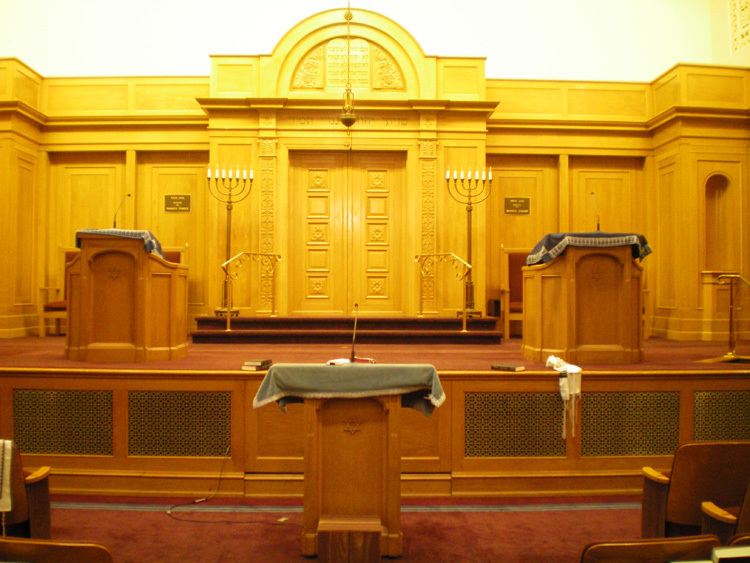 Conservative Judaism believes that, while the laws and truths found in the Torah were given by God, it was written down and interpreted by humans, so that it contains a definite human component. For Conservative Jews, the law can be adapted over time, so that it fits with contemporary society, but maintaining Jewish values. Kesher Zion Synagogue, Reading, PA.